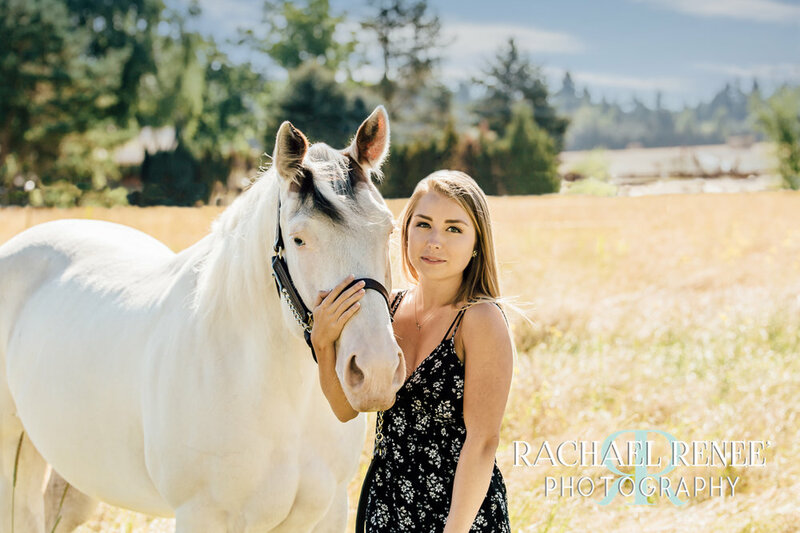 Lacey's mom heard I was coming to town and contacted me to photograph her daughter and their three horses. Beautiful day, beautiful daughter, beautiful horses... What could be a better mix? The Medicine Hat Paint is her main show horse so we got plenty of photos of the two of them together. One of my goals as an equine photographer is to capture that special relationship between a rider and their primary horse. Something that I noticed while back visiting the West Coast, was how opposite the grass is over there. Here in the Athens area, the grass dies and turns yellow in the late fall/winter and is green all summer. But in Oregon, the grass turns yellow and dies in the hottest part of the year but stays green otherwise. In my mind, summer will forever mean golden fields. This golden field was a beautiful setting for an equine photo session, but we did have to move into the shade as the sun got higher.